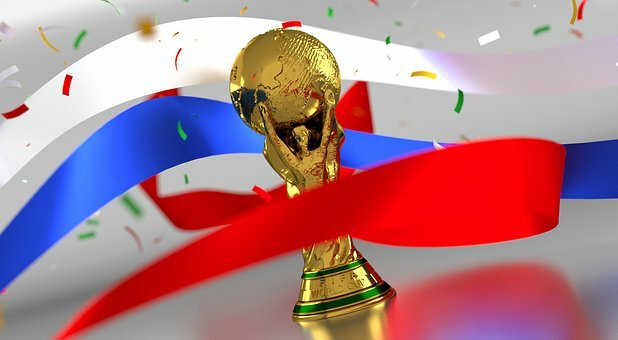 The football world cup is in its final stage and everyone is wondering: Who is going to win the trophy? Especially when you’ve participated in a betting pool, you would like to find criteria on which team to bet. Econometric techniques like regression analysis that we use in all areas of finance, can provide guidance even in this applied area. Table 1: Determinants of winning chances in a match at the football world cup. ***, **, and * indicate significance at the 1%, 5%, and 10% level, respectively. As expected, a higher FIFA ranking (i.e., the number) is associated witch a lower chance to win a match. Interestingly, the impact is only significant at the 10% level. In contrast, home advantage has a very strong impact. This is in line with our own impressions: In in four out of the last six world cups, the home team surpassed expectations. Recall the 2002 participation of South Korea in the semi-final and Russia’s quarter final in 2018 – both came as surprises. And even strong teams are strong-er in their home countries: France last gained championship in 1998, and Germany ended up 3rd in 2006. Coming to the in-game performance: tactics and discipline matter. First, shots on the goal affect positively the chances to win. That’s not as shallow as it sounds: Teams must have a strategy to overcome the opposing team’s defense without sacrificing its own defense. This year, many “small” teams cause much trouble to favorites through their strong defensive concept (as the Germans had to learn the hard way :-)). The second influencing factor are expulsions. Clearly, you should avoid situations which expose you to the risk of getting a red card (e.g., being in a 1-on-1 situation without a defender behind you). And of course you should not rise to provocation, but stand the pressure and convert it to positive energy on the pitch. It may look surprising that the additional factors like set-pieces (corners, free kicks) do not have an impact on winning or losing the game. Especially this year, many goals were scored after set-pieces. We must keep in mind however, that this is the impact beyond shots on the goal. Simply speaking: a corner or a free kick is no impact factor, as long as no shot on the goal is the result of it. If our team wins, we tend to believe that the referee did a great job. But if our team loses, we are quick to accuse the referee of partiality. The numbers confirm this. Table 2 shows that if we include a dummy for the referee and the team coming from the same region a) the ex-ante ranking of the team becomes insignificant, b) the team has a drastically higher probability of winning the match. Table 2: Determinants of winning chances in a match at the football world cup, including origin of the referee (same region) into the regression from Table 1. ***, **, and * indicate significance at the 1%, 5%, and 10% level, respectively. So, are referees actually partial? One slightly more benevolent interpretation a high FIFA ranking affects the referee’s behavior. Higher team reputation may cause the referee to be more tolerant compared to lower-ranked teams. Let’s see on Monday whether the #BELENG nor #CROFRA (or is it #FRACRO?) match give cause to a discussion of the referee’s role!